Ying Ruo Show received her PhD in Chinese Studies from the National University of Singapore (2017) and her M.A in Sinology from the School of Oriental and African Studies in London (2010). Her doctoral work explores the vernacular expression and gendered narrative of the premodern Precious Scrolls scriptures, a part of the Chinese popular religious corpus. She was a Visiting Fellow at the Nalanda-Sriwijaya Centre, ISEAS—Yusof Ishak Institute in Singapore from 2017-2018, and a Taiwan Fellowship holder in 2015 where she spent time in the Institute of Ethnology, Academia Sinica. Ying Ruo Show specializes in Chinese Religion with an emphasis on the Sino-Southeast Asian religious connectivity. She is particularly interested in topics such as lay Buddhist narratives, gender and religion, and the history of the Three Teachings (Confucianism, Buddhism, Daoism). She has extensive fieldwork experience in Singapore, Malaysia and Indonesia where she investigates the religious network of a specific kind of Chinese temples: the Vegetarian Halls (C: zhaitang). These vegetarian temples (locally termed Halls of Guanyin) serve dual roles in being both religious and residential units for their followers. They illustrate the multifaceted intricacies of religious negotiation and diverse Buddhist expressions in Southeast Asia since the turn of 19th century, ones that are still significant today. 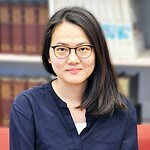 During her time in KHK, Ying Ruo Show is going to work on the contextualization of Chinese religious syncretism in Southeast Asia, using an interdisciplinary method that intersects textual studies, historical, epigraphical and ethnographical framework.